There has been a huge growth in aluminium products recently and an equal growth in manufacturing companies entering the trade supply market. However good trade fabricators have knowledge and experience, coupled with a totally different mindset to manufacturing aluminium compared to pvcu. 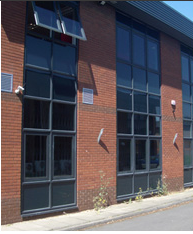 Curtain Walling is one of many specialist products that Total Installations excel in. At Total, we have been supplying the trade market with fabricated aluminium products for over 30 years. We have been completely focused on the aluminium sector throughout this time and are one of only a few manufacturers in the UK that are capable of offering a variety of aluminium systems and are not just tied to just one. If you are in the market for fabricated aluminium products, there are many reasons to let Total Installations work in partnership with you. Very few trade fabricators or manufacturers offer such a choice – enabling most project briefs to be accommodated. We have been fabricating for the trade for over 30 years. This is what we do and are 100% focused on the trade supply market. Our efficient manufacturing plant, coupled with excellent supply chain relationships means we can obtain material from our suppliers even in special colours faster than many other manufacturers and we hold certain popular RAL colours in stock. Even in typical busy periods such as the summer when the industry typically is very busy, our lead times stay consistent and we do not extend them. Unrivalled Customer Support. We believe we are unique in the services offered to the Trade, proactively working with you to secure new business. Often the trade supply sector is just that – supplying the trade with fabricated product and little else. We also understand that we need to help our customers secure new business tailor or Customer Support Services to suit your business not ours. If you are looking for a reliable, experienced and flexible supplier of fabricated aluminium bifolding doors, windows, doors, shopfronts and curtain walling, contact us to see how working in partnership with Total can help your business.